Dornoch distillery has launched a second crowdfunding campaign to finance a move to new, larger premises. 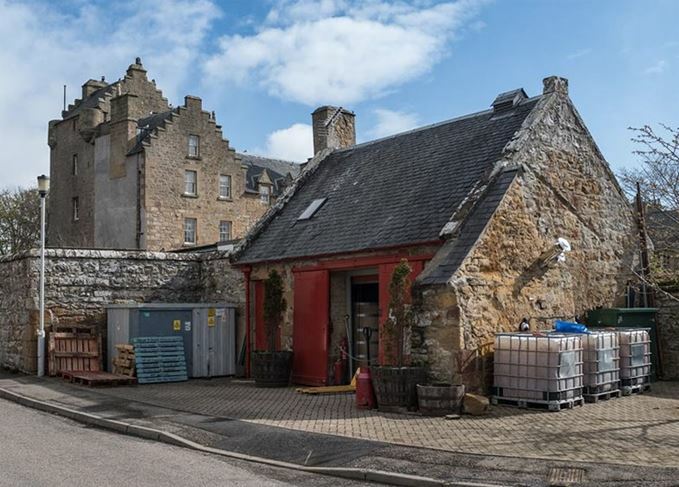 The Highland whisky and gin distillery intends to move its operations to the site of an old slaters’ yard located only 200 metres away from its current home in a former 135-year-old fire station in the grounds of the Dornoch Castle Hotel in Sutherland. The move will enable the distillery to increase production of its single malt whisky and Thompson Brother’s Organic Highland Gin, as well as provide space for a new on-site shop and tasting room. Dornoch distillery creates a style of whisky that imitates the ‘distillate character, mouthfeel and tropical fruits’ of those made prior to the 1960s. A £2,000 contribution will net the backer an ex-Bourbon Octave cask, of which 180 are available. A £2,400 contribution will get a 50-litre American oak oloroso Sherry-seasoned cask, of which 20 are available. A £4,000 contribution will provide a 100-litre ex-Bourbon cask, of which 30 are available. A £4,500 contribution will net the backer a 100-litre ex-Bourbon cask seasoned with oloroso Sherry, of which 20 are available. The Thompson brothers launched their first crowdfunding campaign in March 2016, which financed the convertion of the disused fire station into a distillery. Dornoch laid down its first casks of spirit in February 2017, before switching focus to produce its first batches of ‘experimental’ gin. Work on the new site is expected to begin in October 2018. For more information about the campaign, watch the video below and visit the Dornoch distillery website. Dornoch Castle Hotel owners seek crowd funding to kick start build of new Highlands distillery.